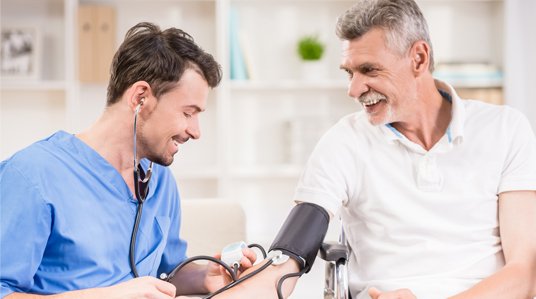 We provide comprehensive adult primary care services as well as acute care same day appointments for patients in need. Acute care includes illnesses that have occurred in the past 24 – 72 hours and require attention. This includes: colds, coughs, flu, bronchitis, earaches, burns, cuts, bruises, sprains, rashes, skin conditions just to name a few. We provide care and medical coordination for all ailments as well as annual physicals, including osteoporosis management. comprehensive screening for prostate cancer, colon cancer, and your cardiac risk. We offer ultra-sensitive C-reactive protein testing and other laboratory markers of early heart disease, and we utilize the latest therapeutics to both raise HDL and lower LDL cholesterol. All labs are drawn on site and are sent to our affiliated lab facilities which include Quest and LabCorp. We personally call every patient back with their lab results. We utilize E-MDs, an industry-leading Electronic Medical Record System. By making our office run more efficiently, E-MD’s allows us to spend more time with patients addressing their concerns. E-MDs alerts us of any possible drug and allergy interactions that you may have and therefore minimizes the possibility of medical error. It helps us maintain a well organized comprehensive medical chart in a completely private and confidential environment. E-MDs also allows us to write your prescriptions electronically.